The following options are available on all models of Mailsafe Mailboxes and letterboxes. The door for mail retrieval can be at the front or the rear on all mailbox models. If the mailbox is to be recessed into a wall, surround trim can be supplied. 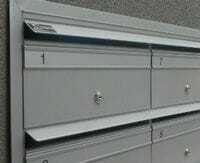 The mailbox door or front panel can be supplied with vinyl numbering instead of the standard engraved number strip. Vinyl numbers can be black or white, to a maximum height of 200mm. We can supply powdercoated folded faceplates with laser cut numbers, sized to suit your brick pillar. 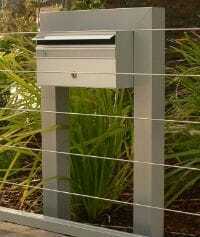 Combine the faceplate with one of our single mailboxes to receive the mail at the rear. 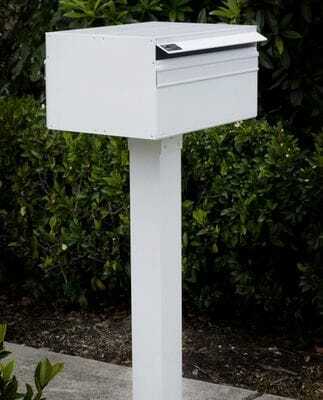 The MSF4 mailbox has been designed with an integrated newspaper holder. Click here for full details on the MSF4 Mailbox. 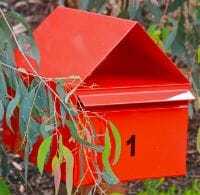 The mail slot on unused mailboxes can be blocked with an aperture block, to prevent the delivery of unwanted junk mail. See examples of Mailsafe Mailboxes in the Photo Gallery.